new paddle destination. I selected the Pithlachascotee River on the west coast. 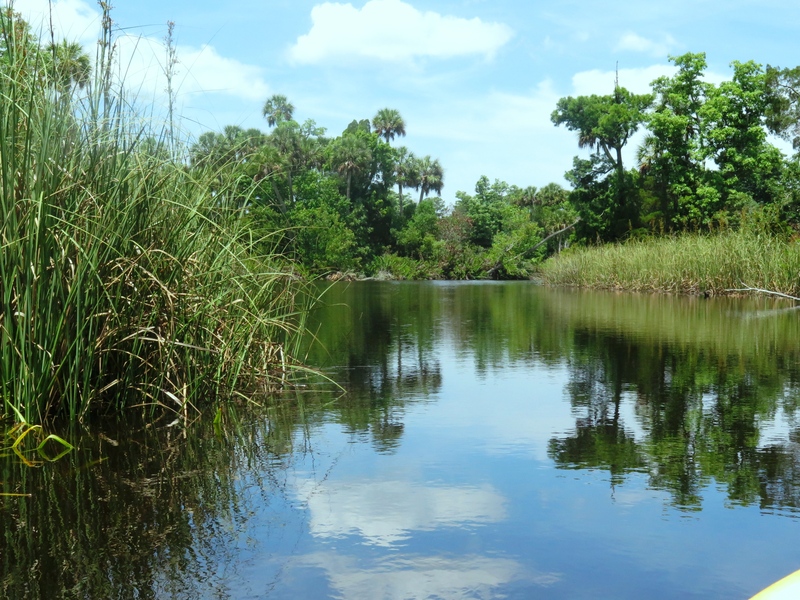 It has taken me several years to get around to paddling the Pithlachascotee River—or the “Cotee” as those who know it well refer to it. I love the winding, twisting, secluded rivers—drop me in the swamp with no humans for miles around, and I’m happy. Much of the Cotee is an urban river, flowing through the town of New Port Richie—with the houses and busy boat traffic that accompany a wider, urban river. Thus, the delay. So, I paddled the Cotee on a Friday morning, and I managed to avoid human contact almost completely. I put in at the James E. Grey Preserve–renting a kayak from Gill Dawg Marina (They dropped off and picked up!). I headed east, towards the river’s source, curious to see how far I could paddle before the fallen trees forced me to turn around. The blackwaters of the Cotee flow about 25 miles from its source to the Gulf. The five-mile paddle from the Rowan Road Bridge to the Francis Avenue City Park is the official canoe trail. I planned to travel from the Preserve, east to Rowan Bridge and beyond, and then turn around and paddle west past my put in to the Francis Avenue City Park, and then, back to the Preserve. I found the portion from my put-in at the Preserve to the bridge (east) and beyond, challenging—but lots of fun! I made the bridge in about 20 minutes and was able to paddle for another 30 minutes before I was forced to turn around. Along the way, the trees and brush dusted me with twigs and webs as I scrapped between fallen branches. I got stuck on submerged logs several times, and I was grateful to be in a sit-on-top kayak and able to hang my legs outside the kayak to shove myself off (a pretty picture, I know!). 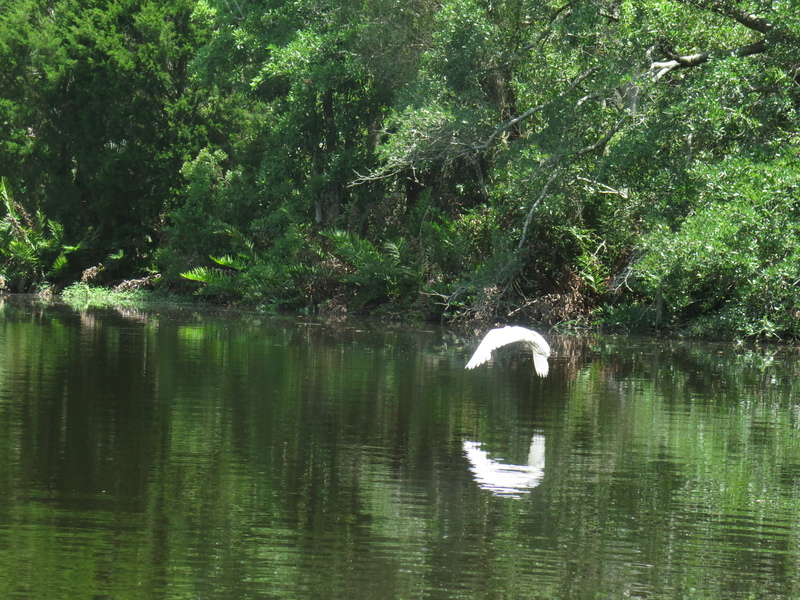 I saw little wildlife as I paddled—an occasional heron and a few turtles sunning themselves. Fish jumped around me in the murky waters. Heading west, the canopy disappeared, and the river widened and took on an estuarine quality, tall sea grasses lining the banks. Once I reached the Francis Avenue City Park, I made my turn and paddled back to the Preserve.